Introducing the newest baby carrier from BABYBJORN. 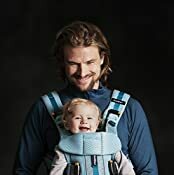 Designed to help you share an active, open-air lifestyle with your child, the BABYBJORN Baby Carrier One Outdoors is the ultimate ergonomic choice for active families. The Outdoors Carrier features a sporty design, high-quality materials and functional details, while offering all of the best features of the Baby Carrier One. 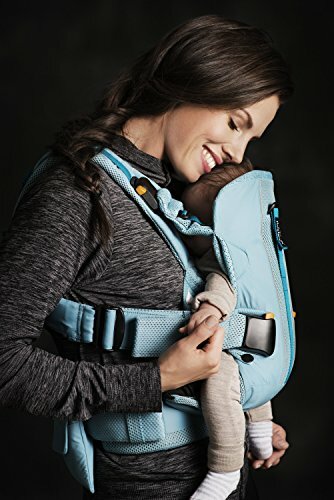 The carrier has an extra sturdy waist belt for added weight distribution and pressure relief, padded form-fitting shoulder straps to help you comfortably and safely carry a growing child from newborn up to the age of three years, and four ergonomic front and back carrying positions. Perfect for parents who want optimal comfort and functionality while they are exploring the magic of the outdoors with their children, the Baby Carrier One Outdoors is made of breathable and water-repellent materials and includes a waist belt pocket and loops on the shoulder straps for easy access to keys, credit cards, baby accessories and more. Baby Carrier One Outdoors also comes with a practical storage bag that protects the carrier when it is not in use.